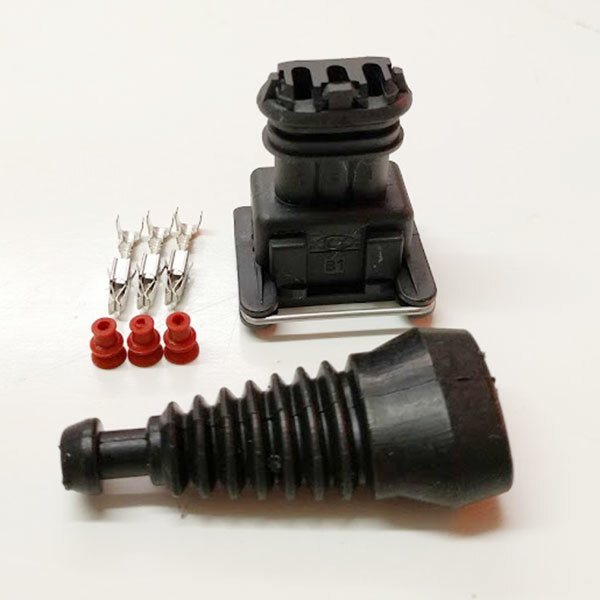 Our reference sensor terminal repair kit comes with the updated EV1 easy release housings, 3 crimp terminals, 3 silicone wire seals and a rubber weather boot. 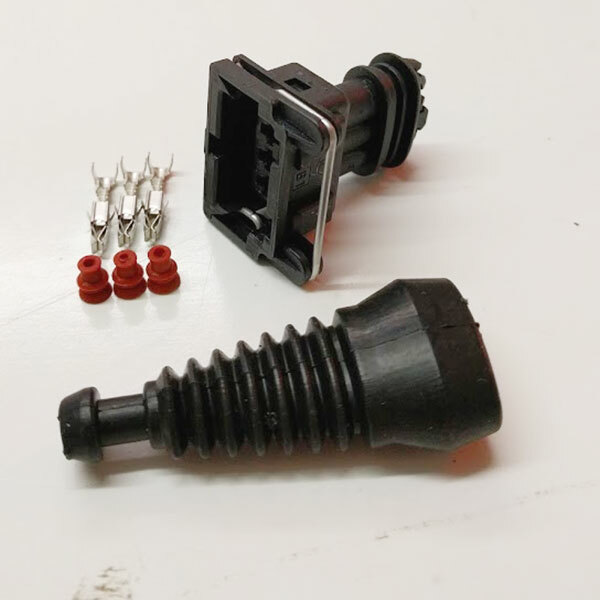 This kit has everything you need to replace a broken reference sensor connector (engine harness side). Various other vehicles with Bosch electronics.